For nearly eight decades, audiences have been charmed by the baby elephant with oversized ears and expressive blue eyes who made his big-screen debut in the 1941 animated classic, Dumbo, just the fourth release from The Walt Disney Studios. Dumbo takes flight again in Disney’s new live-action adventure, opening today, brought to life on screen by visual effects experts who pay tribute to Dumbo’s hand-drawn history while using the latest technology to evolve the character for a new generation of fans. The team, led by visual effects supervisor Richard Stammers, set out to strike a balance between the character fans remember and a realistic, live-action animal that behaves as a real elephant would. 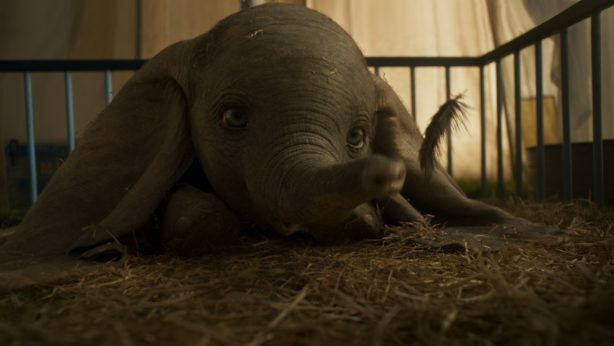 Stammers notes that Dumbo’s “oversized, babylike head; his big blue eyes; short stubby legs and cute little body” are some of his more memorable physical traits in the original film, but he’s also quick to point out that these distinctive characteristics are practical, as well as endearing. Dumbo’s big ears necessitate a large head… his sizeable head necessitates eyes of similar proportion… and, for a character that does not speak, those deep blue eyes become a primary means of expression. “It was very important to be able to read [Dumbo’s] emotions through his eyes, and that was something that was really important in the original cartoon,” says Stammers. As they embarked upon creating a pachyderm protagonist for the same studio that immersed audiences in 2016’s new high-tech version of The Jungle Book, Stammers’ U.K.-based team visited local zoos where they filmed elephants from multiple angles to provide a vast library of reference footage that included subtle motions, “like the way the trunk moves or the tail swishes, or the way the weight gets transferred from one leg to the other just when they’re standing still,” Stammers explains. Using the technology developed for The Jungle Book—but taking it further—the team devised a new way to render and create skin for Dumbo, Mrs. Jumbo, and the other elephants. “Elephants have this incredibly loose and wrinkly skin that movies in a specific way, and the way that we traditionally approach that just wasn’t going to be good enough for what we needed to do for this movie,” Stammers says. 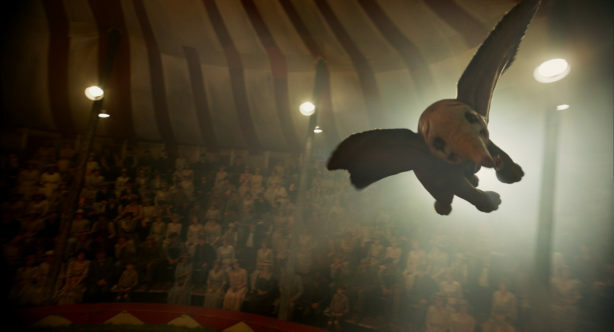 And while the VFX team’s technical innovations were driven by careful observance of real-life elephants, they had to think outside of the box when it came to sending Dumbo airborne. “There’s a matter of suspension of disbelief in getting a 90-kilo elephant off the ground,” Stammers acknowledges. To create Dumbo’s more fantastical mid-air maneuvers, Stammers and the team studied butterflies and manta rays for wing dynamics and movements more evocative of the elephant’s fluttering ears. According to Stammers, it was also key to show the amount of effort Dumbo had to make to lift his hefty body off the ground. During their lengthy development process, the VFX team built an animation rig with the scope to encompass a range of facial expressions. Ultimately, however, they moved away from overly expressive eyebrow and mouth movements in favor of subtle body language, matching some poses to iconic shots from the animated classic, such as tender moments between Dumbo and his mother. “We went through that process of doing a lot to the animation, almost to the point where we were doing too much. We could actually pull back a bit and do a lot less and get a better result,” Stammers details, adding, “That was a really interesting moment of realization, how well we could convey emotions with less movement.” The simplicity that made an animated Dumbo so special nearly 80 years ago endures in the elephant’s modern-day counterpart. God gave you money in order to help you fulfill His purpose for your life. That’s why it’s important for you to manage your money according to His financial principles. Being financially free makes you able to respond to God’s leading. He does not give us money simply to spend as we desire. If you handle money according to your own purposes, then money will become the driving force of your life. Christ is the most valuable gift that you possess. So, while you’re on this earth, use money to advance His kingdom and not to build your own. “The kingdom of heaven is like treasure hidden in a field. When a man found it, he hid itagain, and then in his joy went and sold all he had and bought that field. Again, the kingdom of heaven is like a merchant looking for fine pearls. When he found one of great value, he went away and sold everything he had and bought it” (Matthew 13:44-46 NIV). As we shared during our LIVE coverage at D23 Expo 2017, a new transportation service featuring vehicles themed to the one-and-only Minnie Mouse will soon be taking you everywhere you want to go at the Walt Disney World Resort. 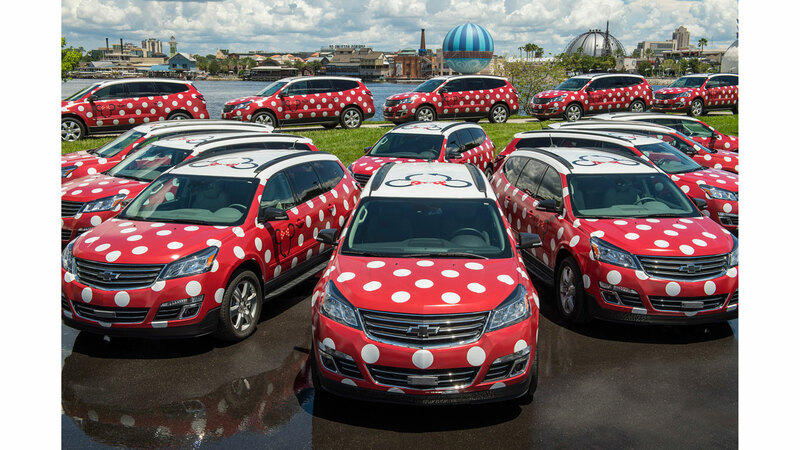 Today, we’re thrilled to share a look at some of the vehicles from the Minnie fleet as well as more details about this new point-to-point service. Starting later this month, guests at Disney’s Boardwalk Resort and Disney’s Yacht & Beach Club Resorts will be able to arrange their own private Disney vehicle right from their smartphone. It’ll be simple to do. Just arrange a Minnie vehicle and a Disney cast member will arrive and drive you anywhere you wish at the Resort in a magical way that only Disney can do. 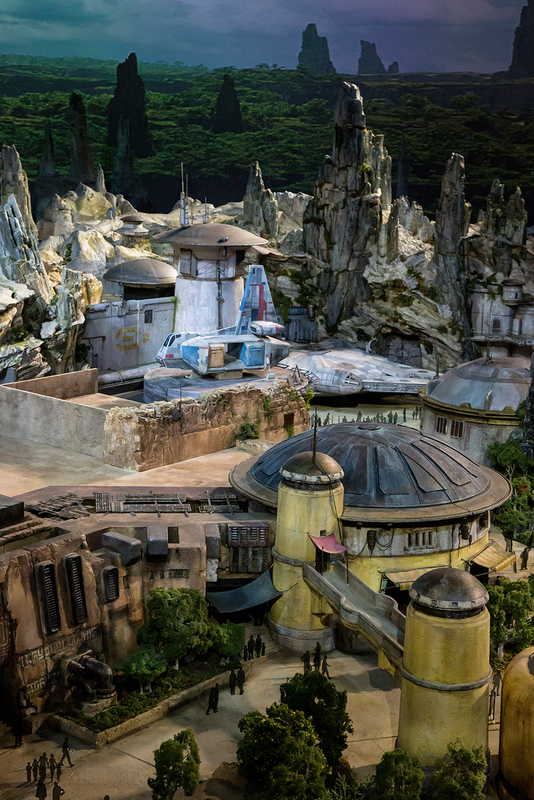 As we’ve previously shared, two Star Wars-inspired lands are currently under construction at the Disneyland and Walt Disney World Resorts. Tonight, we’re happy to pull back the curtain and give you the first detailed look at the model of this new land, which will be on display this weekend at the 2017 D23 Expo. 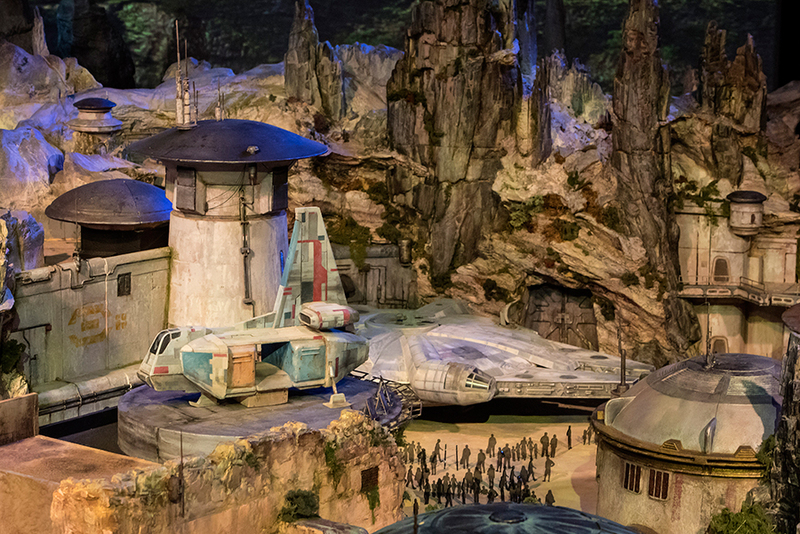 Both Star Wars-inspired lands will transport guests to a never-before-seen planet, a remote trading port and one of the last stops before Wild Space, where Star Wars characters and their stories come to life. Follow the Disney Parks Blog over the next few days for full coverage of all Walt Disney Parks & Resorts news and announcements coming out of the 2017 D23 Expo. Disney Teams Up with Magic! Over the years, the relationship between Walt Disney World Resort and the Orlando Magic basketball team has been, well, magical. Now it’s about to get even more magical as we expand our relationship as the team’s uniform sponsor. 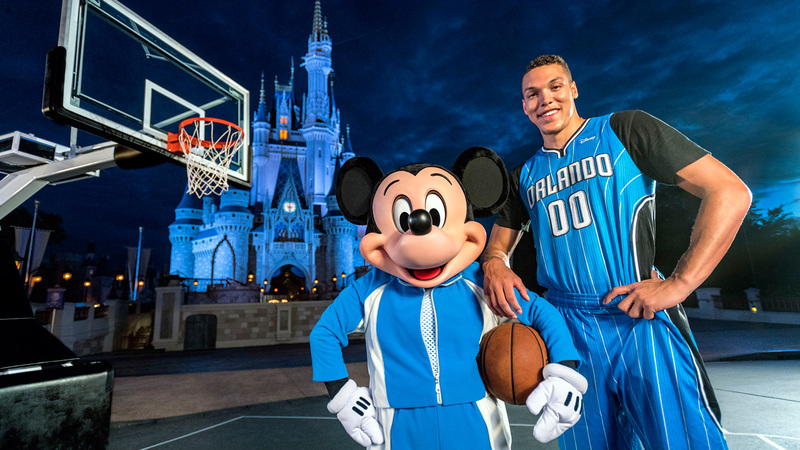 As part of the NBA’s three-year trial period in which the league welcomes uniform sponsorship partners, Disney will have its logo on the Magic players’ jerseys for all games starting next season. Disney became one of the team’s Champion of the Community partners in 2010, and this expanded partnership is another way we are working with the Magic to solidify Central Florida’s presence as a global sports destination. And it’s just cool. Disney is also adding a special seating and hospitality area at the Amway Center for annual passholder upgrades during select Orlando Magic games. As part of our expanded partnership, Magic fans can purchase or renew their Walt Disney World Annual Passes at the Amway Center, including the Orlando Magic Team Shop. And doing it there comes with some perks. Throughout the multi-year agreement, fans who renew or purchase their annual pass at the Amway Center will receive one of the new Orlando Magic jerseys with the Disney logo. Star Wars: The Last Jedi -Teaser Trailer! The first official teaser trailer and teaser poster from Star Wars: The Last Jedi just debuted at Star Wars Celebration Orlando. Star Wars: The Last Jedi opens in theaters December 15, 2017. Therefore God has highly exalted him and bestowed on him the name that is above every name, so that at the name of Jesus every knee should bow, in heaven and on earth and under the earth, and every tongue confess that Jesus Christ is Lord, to the glory of God the Father (Philippians 2:9–11, esv). Someday Jesus Christ will step onto the world scene and bring this whole, unfolding drama to a conclusion. His presence and appearance will bring all of us to our knees. Every knee will bow. I’m not sure when it will happen, I’m not sure how it will happen, but I am certain it will happen. Every person who exits this life will bow before Jesus Christ. “As I live, says the Lord, every knee shall bow to me” (Romans 14:11). Every person will say these words: “Jesus Christ is Lord.” Even if you’re not much of a public speaker, you will account for yourself. You will answer for the choices you have made. We can recover eternally despite some bad choices, but we cannot get this one wrong. We can avoid God but not for more than a lifetime. Jesus Christ is Lord, and someday every knee will bow to Him as the rightful Ruler. The Master. The One in charge. The ultimate authority. If life is about one thing, it’s about getting this ultimate authority relationship figured out. Who’s really in charge? It’s not Washington, or Hollywood, or Wall Street, and it’s not you and me. It’s Jesus Christ the Lord. No matter what we accomplish in this world, a hundred years from today, if we didn’t get this figured out, we will have nothing. Submitting to His authority is both a crisis and a process. The crisis is a decision: understanding with your mind that Jesus is Lord. Then comes the process: bowing to His authority means obeying His commands. The ultimate test of lordship is not the crisis of your deciding that you believe, but the process of submitting your will to His at the point of pressure—the place where you and He disagree on what to choose. Whose will wins: yours or His? “Jesus is Lord” is chosen in a dozen daily decisions, each one taking your life to a better place. If I were in charge, I would do __________ with my life. But Jesus is Lord, so I choose His plan for my life. If I were in charge, I would do __________ with my finances. But Jesus is Lord, so I choose to give, save, and spend according to His priorities. If I were in charge, I would do __________ right now in my marriage, but I’m not in charge. He is Lord, and I will do what His Word says. If I were in charge, I’d storm into work and tell my boss __________. But Jesus Christ is Lord, and as His representative, I’ll only say what my Master wants me to say. Everybody serves somebody. Everybody has somebody in charge of his life. Forget the excuses—you choose who you serve. You don’t fall into servitude. It’s not an accident. You can’t blame your environment or your past. You choose who you serve. Your mama doesn’t choose for you. Your pastor can’t choose for you. As much as someone might love you, he can’t choose for you. Even God, who loves you perfectly, will not choose for you. There are simply some crucial decisions you have to make for yourself. The ball is in your court. “Choose this day whom you will serve” (Joshua 24:15). The Walt Disney Company Board of Directors announced today that it has extended Robert A. Iger’s contract as Chairman and Chief Executive Officer to July 2, 2019. “Given Bob Iger’s outstanding leadership, his record of success in a changing media landscape, and his clear strategic vision for Disney’s future, it is obvious that the Company and its shareholders will be best served by his continued leadership as the Board conducts the robust process of identifying a successor and ensuring a smooth transition,” said Orin C. Smith, Independent Lead Director of the Disney Board. Details of the agreement will be included in a Form 8-K filed today. 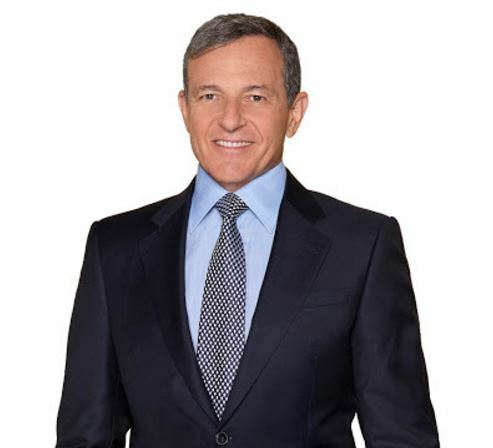 Since Mr. Iger, 66, became CEO, The Walt Disney Company has been recognized as one of the “Most Reputable Companies” in both America and the world by Forbes magazine (2006-2017); one of “America’s Most Admired Companies” by Fortune magazine (2009-2017); one of the “World’s Most Respected Companies” by Barron’s (2009-2016); one of the “Best Places to Launch a Career” byBusinessWeek magazine (2006-2010); and as “Company of the Year” by Yahoo Finance (2013).